The Jirisan Insect Research Institute is one of the businesses that are taking the initiative in promoting insects as a promising future food in Korea. Nicely located in Sancheong County around the Jirisan Mountain, the Institute has been actively engaging in producing foods made of insects and in fostering talented future industry specialists through training programs since its establishment in 2012. 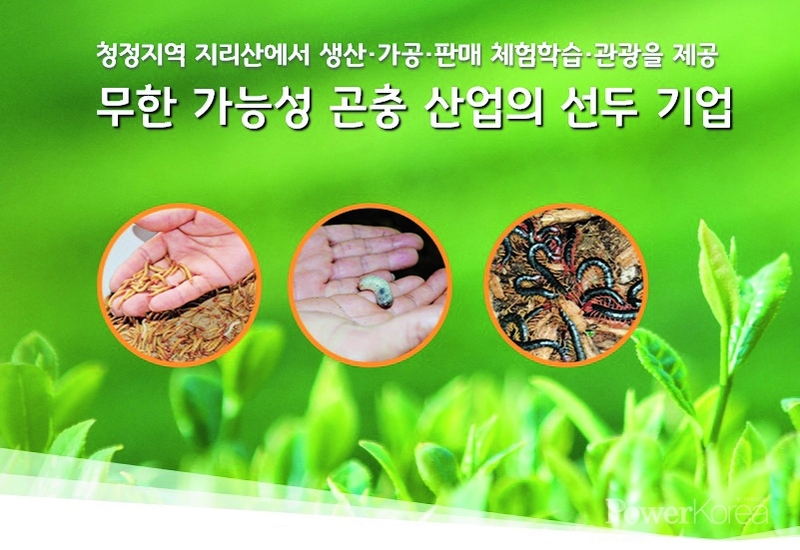 The Institute is received as one of the best insect research institutes in South Gyeongsang Province and the growth potential of the business is ever increasing as a report positively predicts that around 2 billion people will feed on insect-based food in the future. 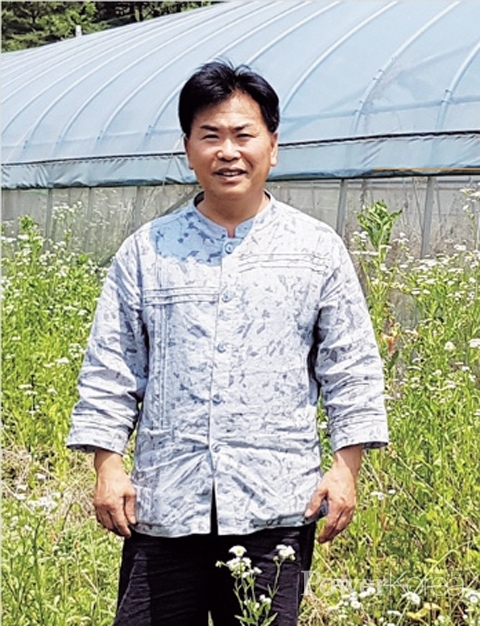 The Institute director Yun Chul-ho jumped into an insect food research during the 80s and 14 kinds of insects including beetles, stag beetles, barley grasshoppers, brown mealworms, scorpions and centipedes are being grown for food and for study purposes at the moment. “We need 13kg of grains to produce 1kg of beef meat; but only 2.1kg of grans is needed for insects to supply protein per 1kg production. Also, ruminants release 47kg of methane which is the same amount like 4.2 cows or a car releases green-house gases. A research said that 18% of global warming is responsible to raising cows. But, we don’t need to worry about all of these when it comes to insect growing” explains Yun. Insects are also space-efficient and fodder-efficient in terms of gaining protein when compared to cows and pigs. Insects are cold-blooded animals and they have high ratios of turning the fodder into protein. A grasshopper, for example, can produce the same amount of protein by 1/12 of the fodder needed for a cow and half the fodder for a pig. In terms of releasing methane and green-house gases, insects release 100 times less than cows and pigs. All of these facts prove that growing insects are a more sustainable solution to solve the fool problems of the future. However, some people find it hard to enjoy insect-based food because of its figures. For this, Yun is working on making them like snacks for easy crunch. ‘Gabagosoae Nuroongji’, scorched rice, for example, has been chosen as one of the hot Korean food by the Korea Agro-Fisheries & Food Trade Corporation and by the Ministry of Agriculture, Food and Rural Affairs; a number of export contracts are being made at the moment for the markets in Greece, Turkey and the Netherlands. “Insects are great food resources of the future according to the UN. I feel proud that I’m taking the initiative in promoting this future industry in accordance with the UN’s promising prospects” says Yun in confidence. If you are interested in insect growing and food, make a journey to Jirisan Insect Research Institute as it also runs experience programs for children and adult alike.